Company expenses cover everything that a company can deduct from their profits to help reduce their tax bill. Many business essential items, from computers and machinery through to stationary and professional memberships can be deducted pre-tax. Good financial planning is vital in business to ensure that all possible taxable allowances are taken advantage of. Making maximum use of company expenses to reduce a tax bill should form a part of every tax avoidance scheme. Tax avoidance is not only legal but also encouraged by government. Many small businesses suffer due to poor financial management; the economy would probably benefit more if all businesses could maximise their profits. “To be deductible from the earnings of an employment an expense must be incurred wholly and exclusively in the performance of the duties of the employment”. “Wholly and exclusively” means that the items or services must only be used for work and not for a dual purpose. The example that HMRC give is that of clothing for work. While the clothing may only be worn in the workplace, it is also providing the individual with cover and comfort. For example, suits and business shoes cannot be deducted as expenses. However, protective clothing and uniforms are tax-deductible expenses. Common expenses include; accountancy and professional fees (legal, IT, marketing, insurance policies etc. ), advertising, business banking, car and travel expenses, stationery, phone and Internet costs, workplace rent, staff and outsourcing costs. Other expenses, which can be used to reduce a tax bill, include donations to charities, eye tests, business magazines, books, training manuals, printing, computers and machinery. Expenses are claimed back when filing the annual tax return. For sole traders this is usually done online as part of the self-assessment tax return. For limited companies an accountant needs to be appointed and they will file the annual accounts with the non-taxable allowances included. Every individual has several tax allowances that should always be fully used to lower the tax liability. Every person has a personal allowance, which is a tax-free portion of income. Other tax deductions are available by making use of ISA investments. Capital gains also have a tax allowance, which means the interest earned on investments is not taxable up to the tax allowance limit. An umbrella company can benefit companies looking to claim against all allowable expenses. Many contractors and sole traders are now partnering with umbrella companies to help manage their business. 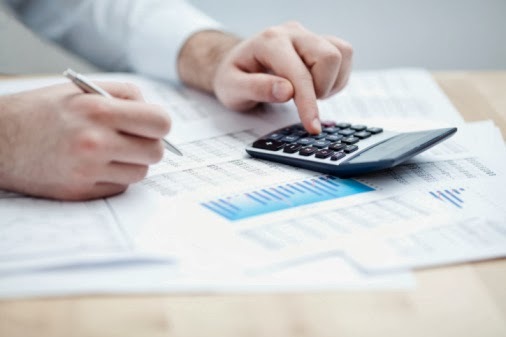 Umbrella companies provide a full financial management service for businesses, which involves processing all invoice payments, managing the bank account and paying the worker a monthly salary from the PAYE system. Those working under an umbrella company can claim several tax allowable expenses, such as travel, personal incidental expenses (costs incurred when staying away from home), protective clothing, training, professional subscriptions and pension contributions. It is therefore important for contractors and sole traders who operate under an umbrella structure to supply their agents with all invoices and receipts to ensure that they enjoy the maximum tax benefit.